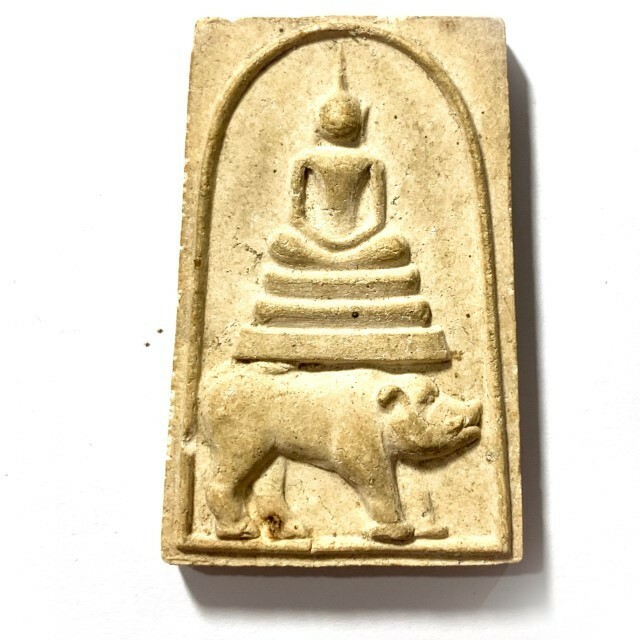 Rare Jumbo Sized version Run Pised (Special Edition) series Pra Somdej Pim Khee Moo Hlang Roop Hmuean Buddha Riding Wild Boar Votive Tablet with Image of LP Seng on rear face. 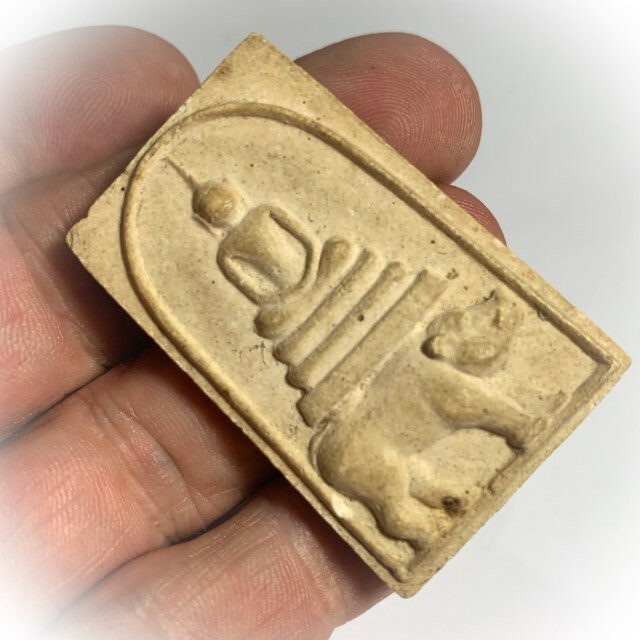 Released in various design models (Pim) and sizes, after Buddha Abhiseka Empowerment Ceremony in the year 2525 BE, the amulet is made from Nuea Pong Puttakun with Pong Ittijae and Pong Wan, and Blessed by the Great Luang Por Seng, at Wat Bang Na. 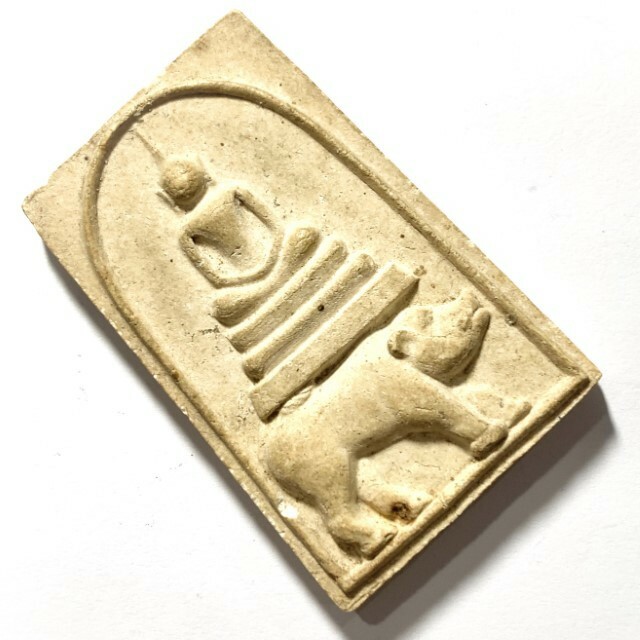 The amulet features a Buddha Image seated upon a 3 tiered dais, above a wild boar, with upward pointing tusks. 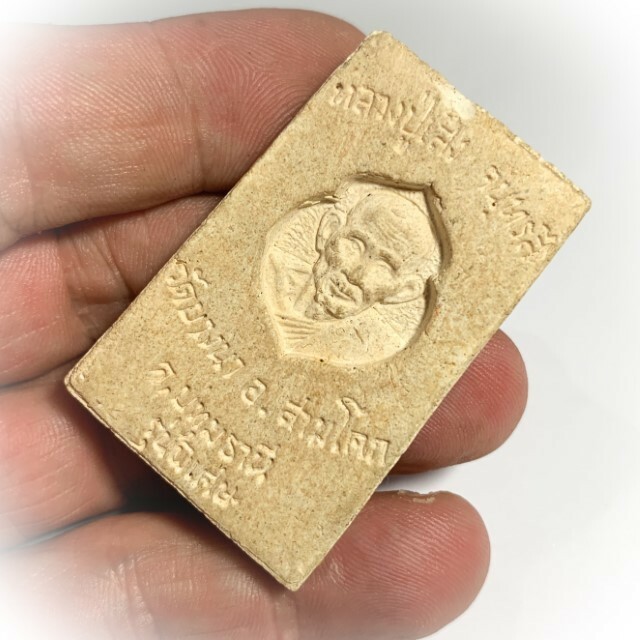 The rear face has the image of the cameo of Luang Por Seng, with the words 'Luang Phu Seng Jantrarasi, Wat Bang Na Amphoe Sam Koke, J. Patum Thani' (J for Jangwat, meaning Province), and the words 'Run Pised' (Special Edition). 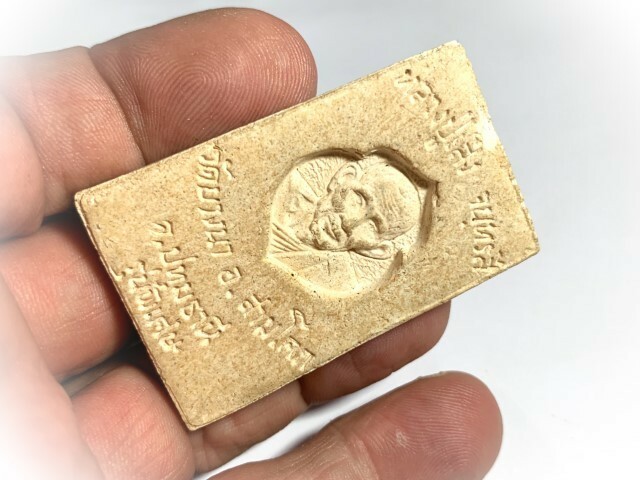 Free Registered Air Parcel Worldwide Shipping is Included with this Amulet. 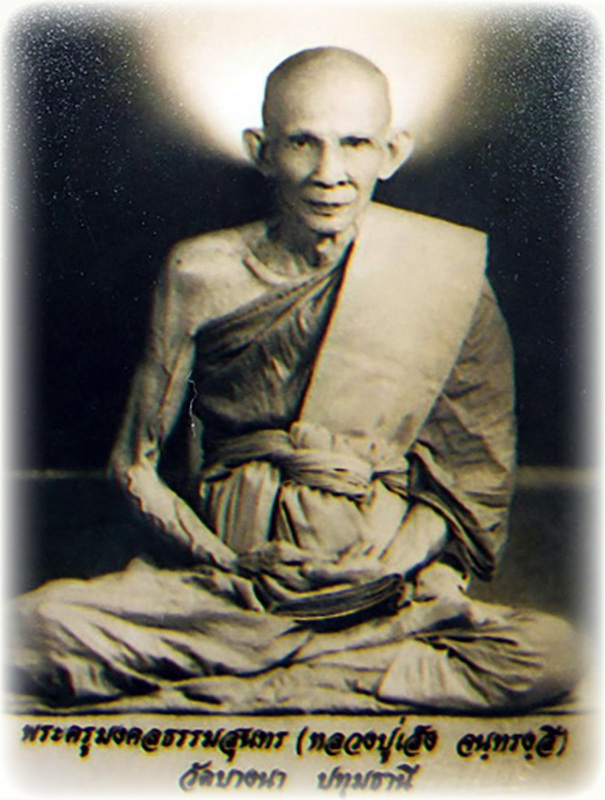 Luang Phu Seng Jantarangsri, or lovingly known as 'Taep Jao Chaw Raman' (The Raman Mong Tribe Angel and Lord), of Wat Bang Na, in Amper Sam Koke in Patum Thani, was one of the Great Thai Buddhist Master Monks of the the late 24th and early 25th Century BE. The temple of Wat Bang Na was always a large and popular temple in Patum Thani, for there were many people whose children ordained there, and the families would visit to pay reverence and offerings almost every day. Many monks would school there, and the temple was popular for local folk from near and far to come and make merits there. 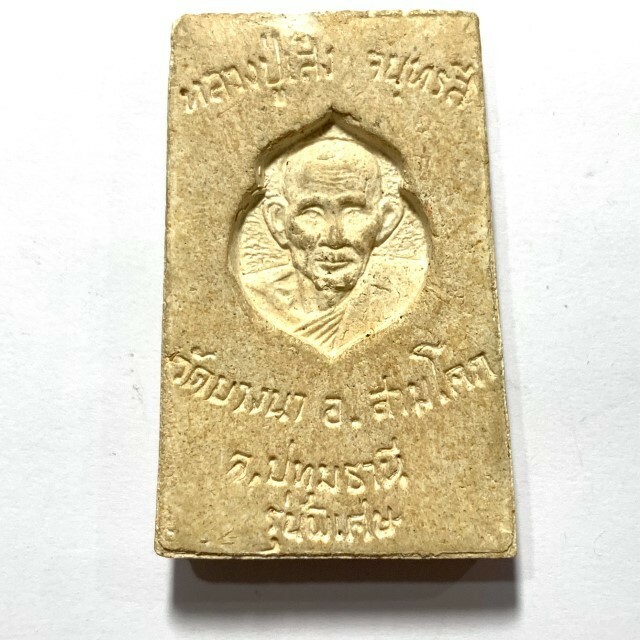 But it was only when the Great Luang Por Seng arrived, that amulets were made at Wat Bang Na. 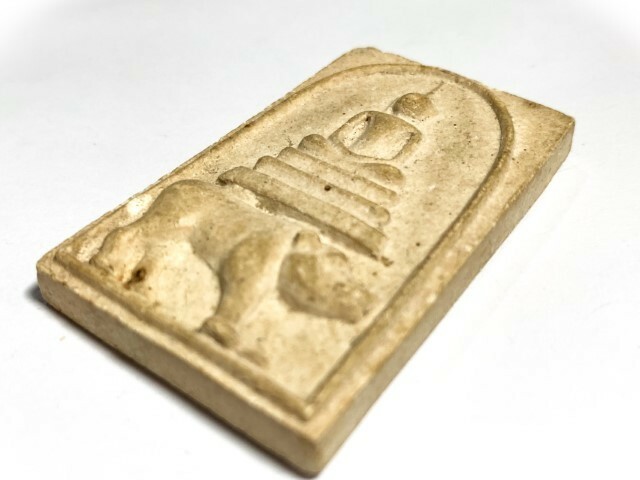 Before Luang Por Seng, no monk had previously made an edition of amulets. 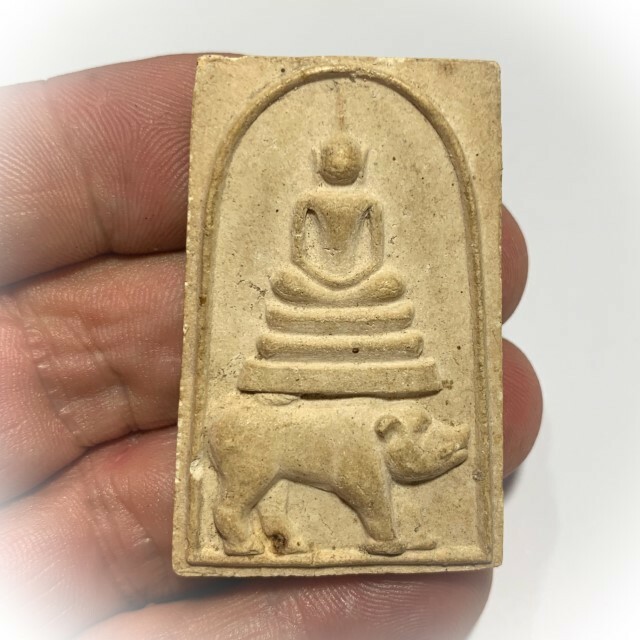 This means then, that Luang Por Seng was the Master responsible for the act of 'Berk Dtamra'; the Opening and Beginning of a Temple Master Lineage in amulet creation and empowerment. 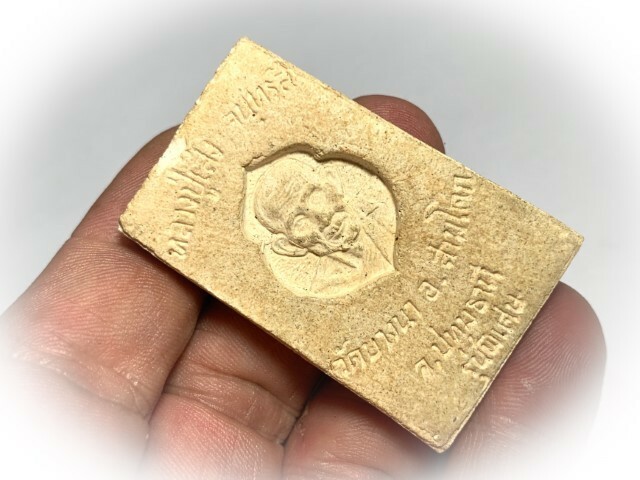 So began the Dtamra Pra Krueang (Amulet Legend/History) of Wat Bang Na. 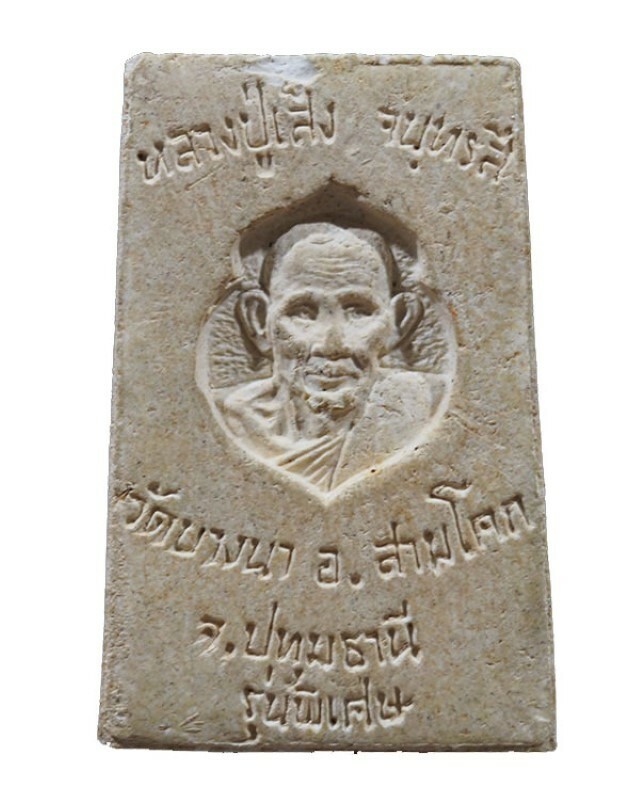 Luang Phu Seng was also the first ever Monk of Wat Bang Na to receive Honorary status awarded from the Royal State Sangha Comission, Luang Por Seng was born in 2444 BE in the nearby vicinity of the temple of Wat Bang Na, and grew up near the temple. He never really told anybody more details than his year of birth, so this is about all that is recorded of his birth. It is also known that he was the only surviving child of a total of 7 siblings, who all died early age. In those days, most people of the area of Wat Bang Na were farmers, many of the Raman Mong people who had come down the Mekhong from the Border Mountains. Many would farm the fields or make bricks, or would farm sugar beets. As to Luang Por Seng's father, who was also a Raman (Mong Hilltribe) named Ju, who had come down the Mekhong in a boat, he was the owner of a small groceries and sundries shop. 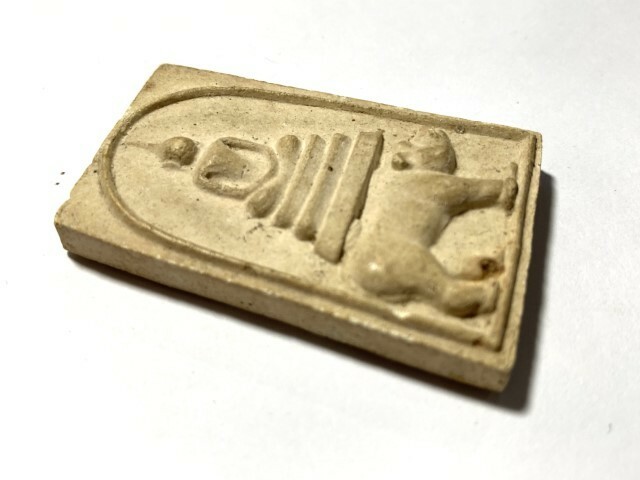 His Mother was also a Raman who went by the name of Khem. 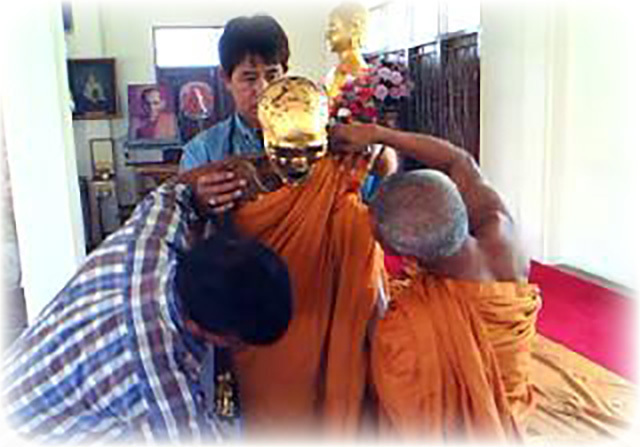 Luang Por Seng was ordained in the year 2465 BE with Por Kroo Nantamunii of Wat Bang Luang s Upachaya Ordaining Officer. Luang Phu Tian, of Wat Bote, was his Pra Gamma Waajaajaarn, and Luang Phu Tat Sahulo, who was also Luang Por Seng's Uncle, and the Abbot of Wat Bang Na, as his Pra Anusawanaajaarn witness. 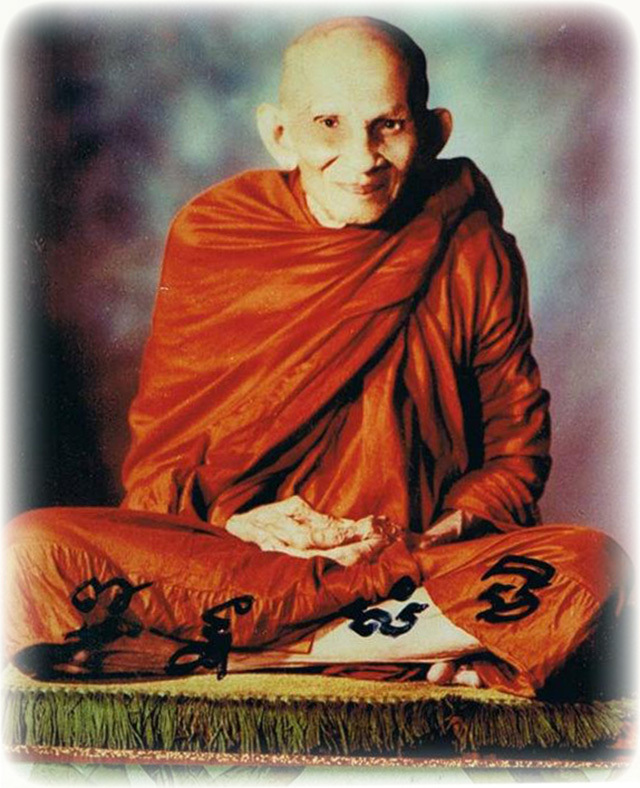 Luang Por Seng mastered both the Raman language, and the Khom Pali Sanskrit Agkhara texts, and Wicha Akom (Sorcery). Luang Por would absorb as many Wicha from as many Masters as possible, and became extremely well versed in Sorcery and Khom Pali over the years, until, in the year 2486 BE, the Abbot of Wat Bang Na passed away (Marana Bhava), and Luang Por Seng was elected to become the new Abbot. He was Inaugurated as Abbot in 2487 BE by the Temple Comittee. 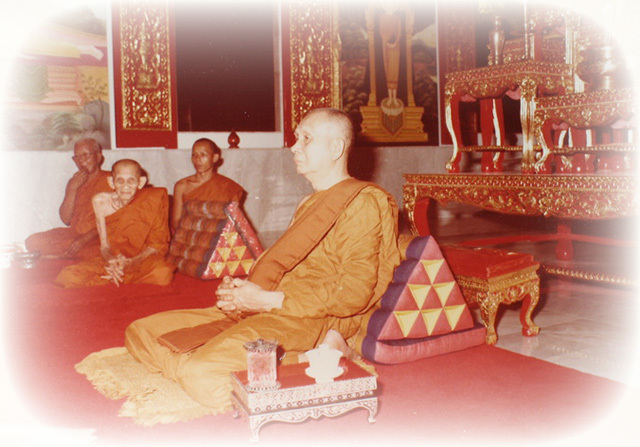 Luang Phu Seng then conducted his duties extremely well and gave very many great Dhamma Sermons and performed great works. Then in the year 2489, the State Sangha Comission of Thailand elected him unofficially to the status of Abbot with all full regalia and honors. Luang Por Seng was then empowered to perform the great work of finishing the Uposadha Shrine Room building begun by his predecessor Luang Phu Tat, and developed the temple in many ways. Each year, Luang Phu Seng would adhere to the practice of spending some time performing Boriwasagam (Tudong Forest Wandering). 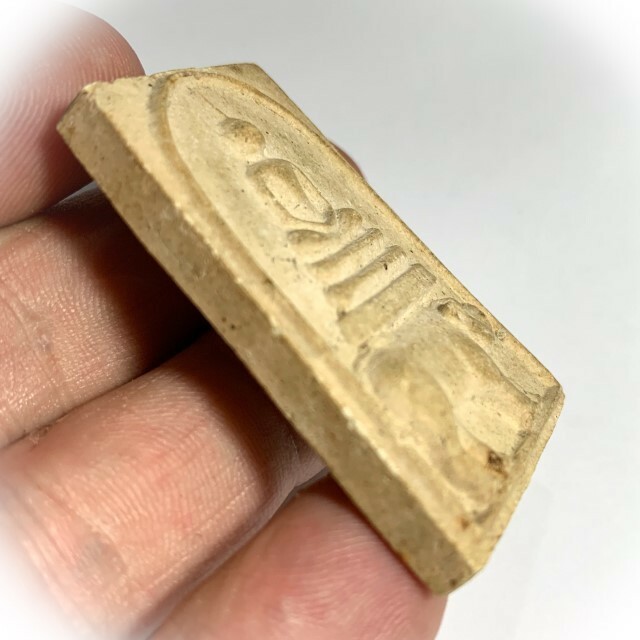 In these times and when he was not busy with the worldly facets of temple administration, he would practice kata Akom and Sorcery Spells using his Prakam rosary to count out formulas and memorise them. He became extremely proficient over the decades with repertoire of Magical incantations. 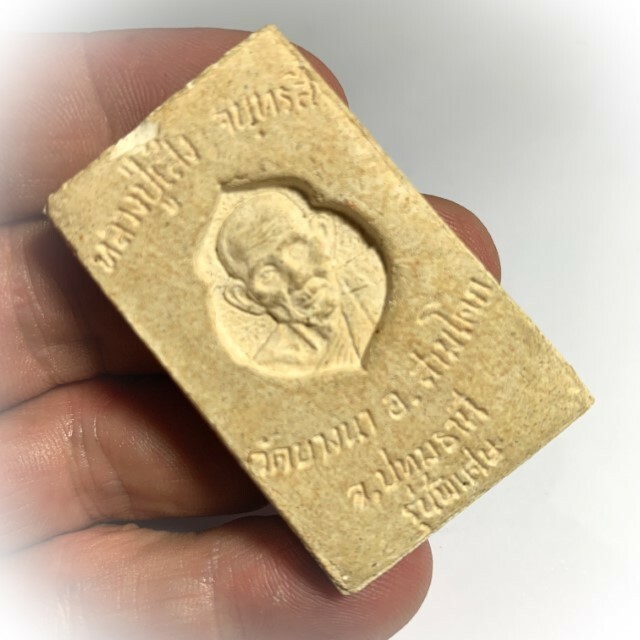 Pra Pong Somdej Sam Chan Run Raek 2510 BE - Made from Pong Ittijae powders, and is empowered with Metta Mahaniyom and Kaa Khaay Power. The first edition Pra Somdej features a Buddha on a 3 tiered dais, with the words 'Pra Kroo Seng'. here were 2 versions; some models had 'Pra Kroo Seng Jantarangsri' embossed too. The words are embossed below the dais of the Buddha. 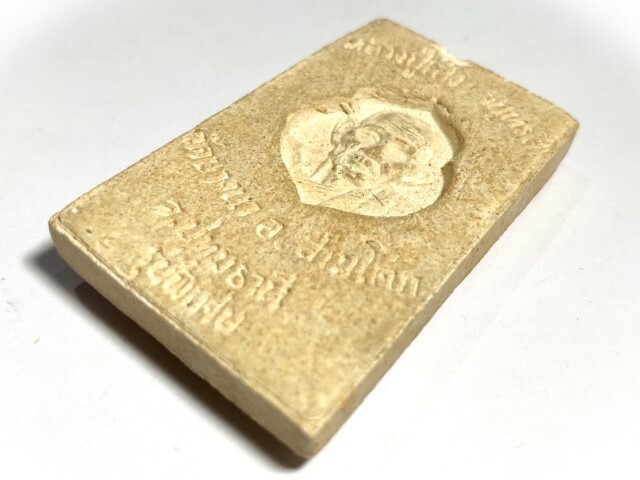 Some of the amulets had the words embossed by the block press of the amulets, some were inscribed by the hand of Luang Por Seng by hand (Rare!). 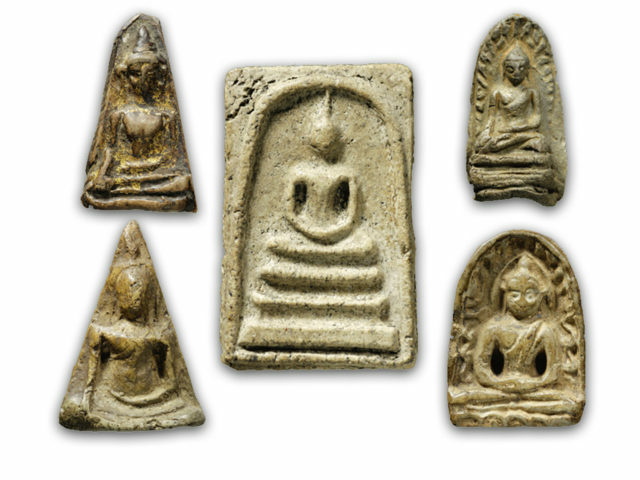 Luang Phu made these amulets in five different colored powders; Black, Red, Green, Yellow, and White. 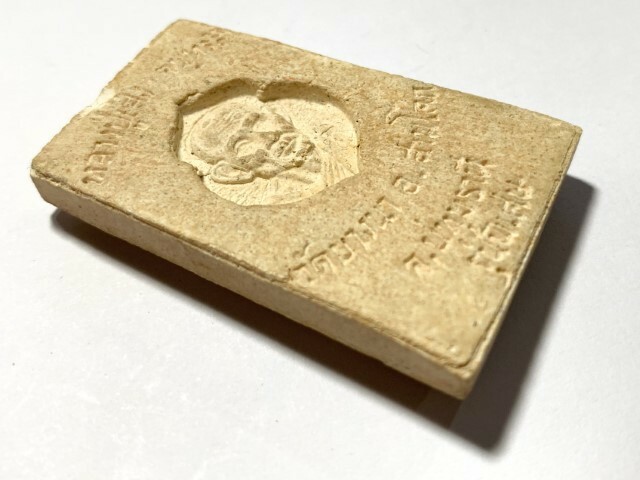 It is said that many of the Pra Somdej he made have a secret Takrut Nok Sariga inside them, inserted within the amulet. Once he had pressed the amulets and all were ready, he would then perform empowerments, and hand the amulets out distributing them to the local devotees.Many devotees wore his amulets and survived deadly accidents, and so his amulets became the talk of the folk, and they began to appear ever more rarely, as Devotees began to hunt and collect them for their own use and protection After the popularity of his first edition Pra Somdej due to the miraculous stories of survival, Luang Phu had to quickly make the second ever release of amulets, this time his first edition coin, the Rian Sema Kwam. 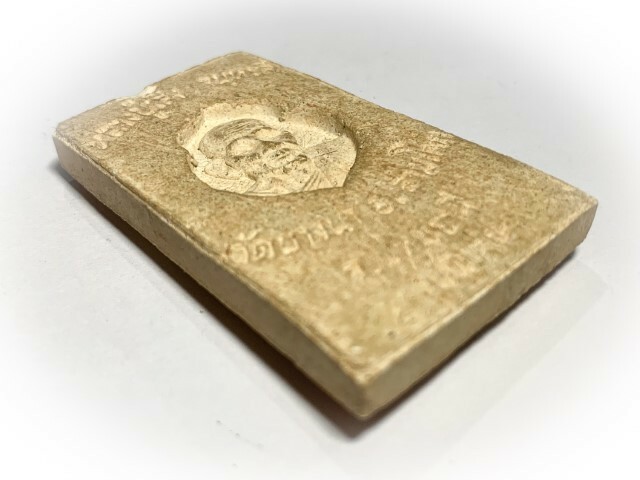 The coin was made in three different sacred metals; Galai Tong, Galai Ngern, and Nuea Tong Daeng. 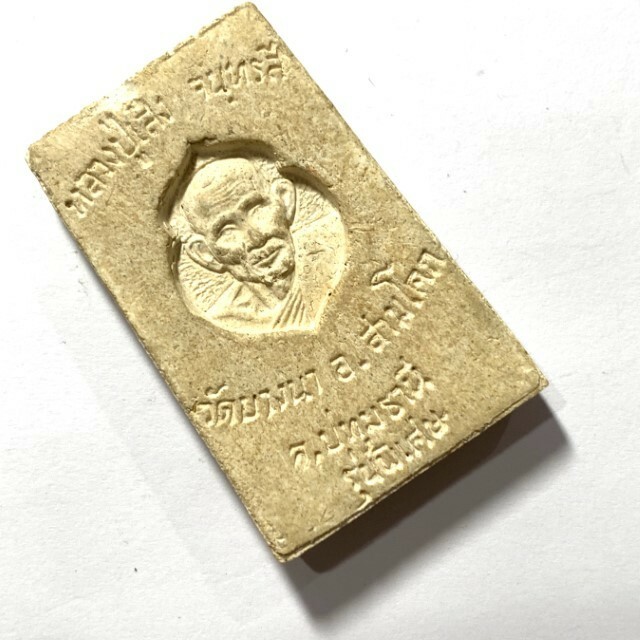 The coin has a bust image of Luang Phu Seng, and the words 'Ajarn Seng' underneath the image on the lower part of the front face of the coin. 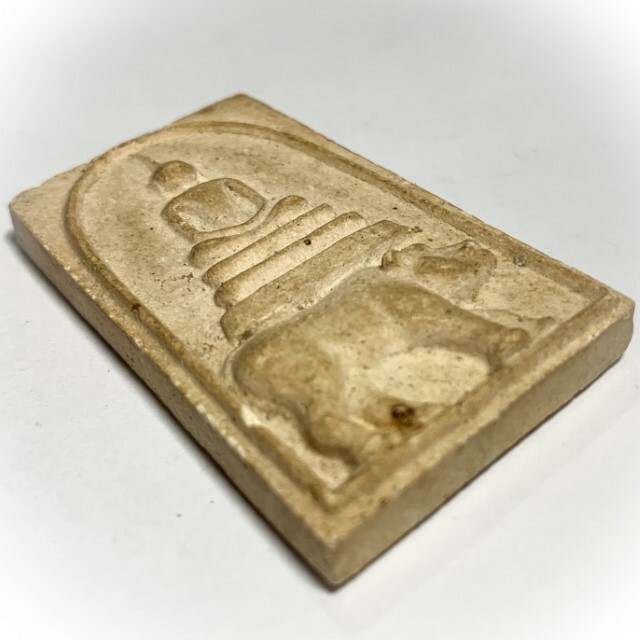 The rear face has a Sacred Yant emblazoned on it, below which are the words 'Wat Bang Na', and the year of issue '2510'. 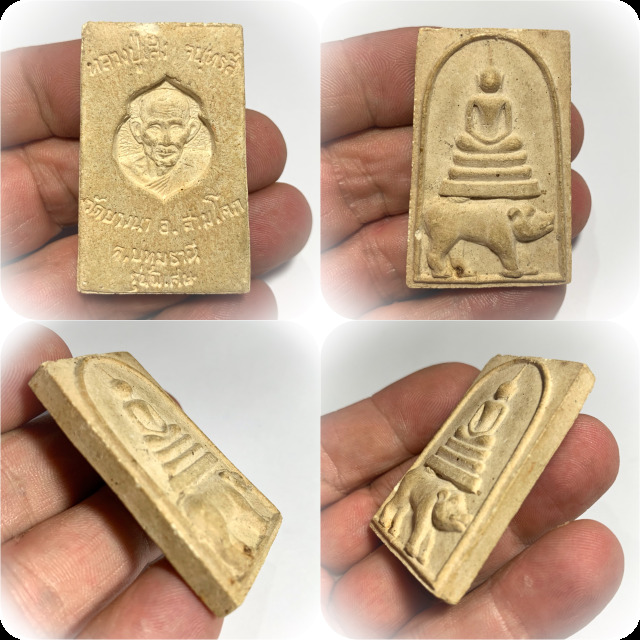 Up to 2512 BE, Luang Phu Seng performed empowerments of the amulets in solo in the Uposadha Shrine, except for the first edition coins he made, where he invited a number of monks from surrounding temples, to come and perform full Buddha Abhiseka blessing. 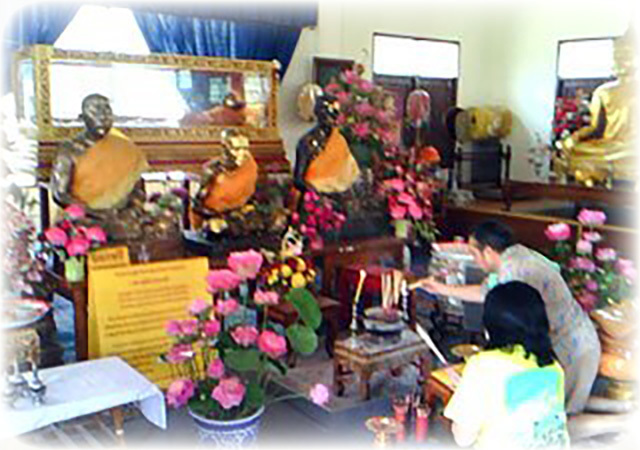 After 2512 BE, Luang Phu always performed full Buddha Abhiseka ceremonies on all editions with a full cast of Monks to perform the chanting of the Opening of the Eyes of the Buddha. 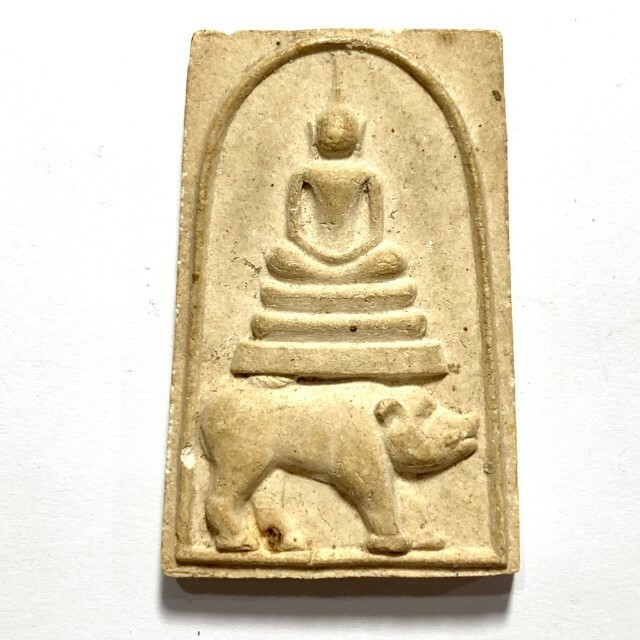 One of Luang Phu Sengs most famous and preferred amulets, is the Pra Somdej Khee Moo (Tong Daeng) - Buddha riding a Boar of 2525 BE. 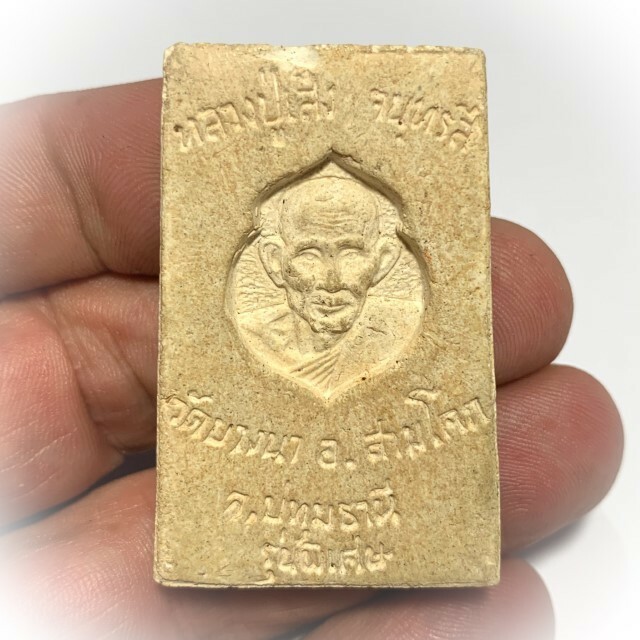 The Khee Moo Pra Somdej amulet was actually comissioned by the Devotees of Luang Phu Seng and given to him for empowerment, and is one of the most sought after of all his amulets by his extreme devotees. 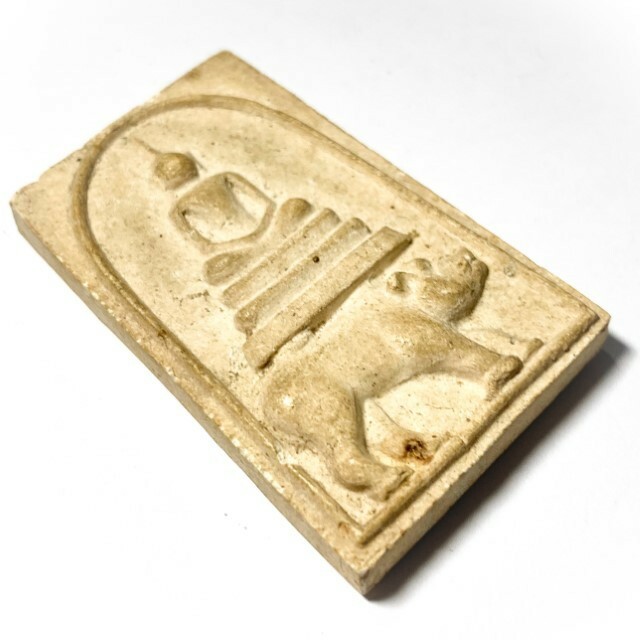 The Pra Somdej Khee Moo is also a preferred amulet of this Pantheon with serious speculative amulet collectors and appreciation societies. 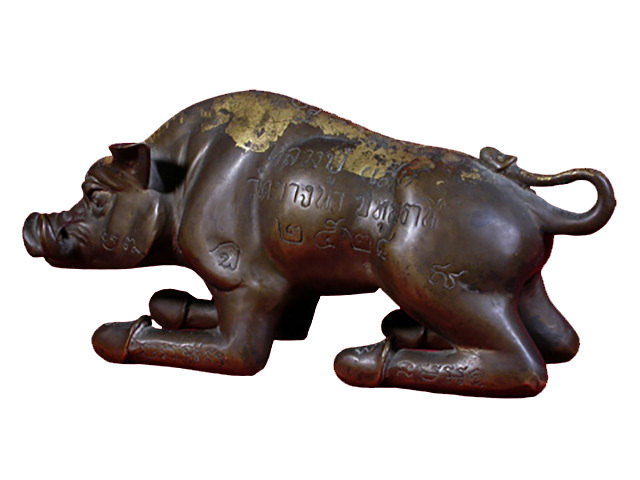 Another famous and highly sought after amulet of Luang Por Seng is the Moo Tong Daeng Khiaw Dtan 'Copper Pig with Solid Tusks' Animist Charm Loi Ongk Statuette, made in 2521 BE, and released in 2522 BE. 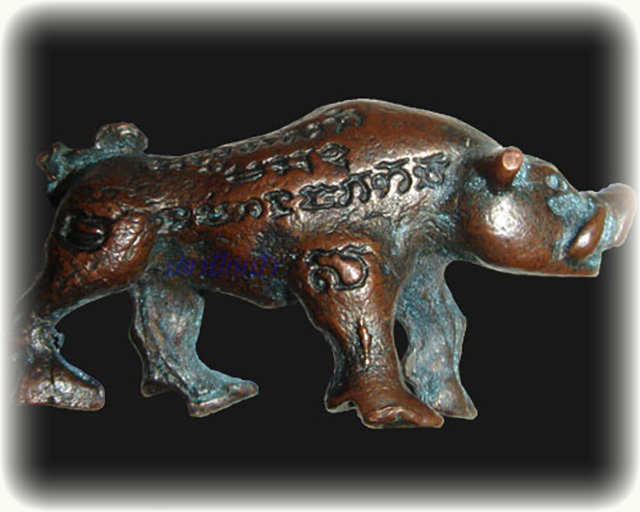 The legend of the Moo Tong Daeng Copper Pig with solid Tusks (not hollow - considered a Magical aspect of Kong Grapan Chadtri Magic), states that bullets shot from a gun cannot pierce the skin of a Moo Tong Daeng Khiaw Dtan. 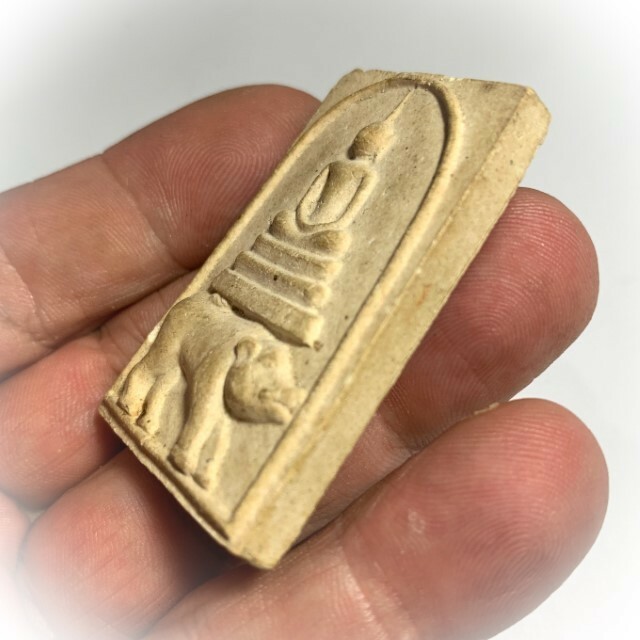 Luang Phu Seng then used this Dtamra Legend to inflect Kong Grapan Chadtri and Klaew Klaad into the amulets, and instill faith and peace of mind in their users. 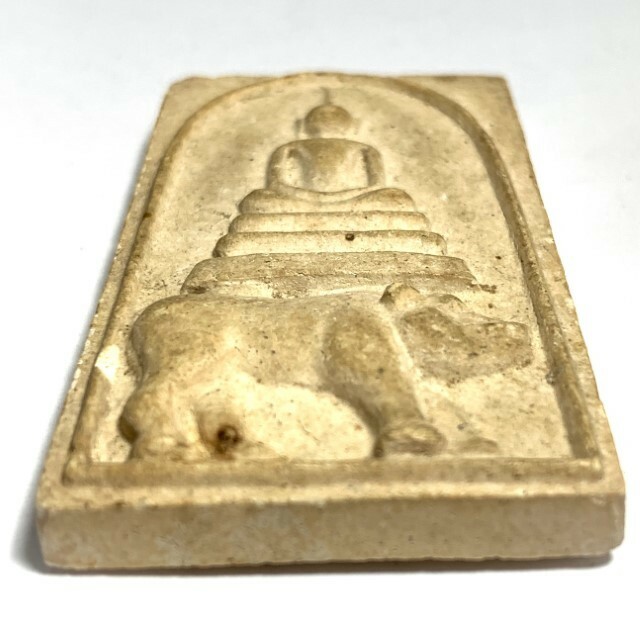 As the Buddha Abhiseka for the Moo Tong Daeng Khiaw Dtan amulets was being performed, the Uposadha Shrine room was sealed off to the public as the monks performed their blessings and meditative empowerments. However, some devotees witnessed a sight; a Mirage of a load of boars and pigs, were seen running into the Uposadha during the ceremony. After the ceremony was over, one of the devotees entered the shrine room, and informed Luang Phu Seng of what had been witnessed. Luang Por Seng laughed, gave a smile but said nothing else. 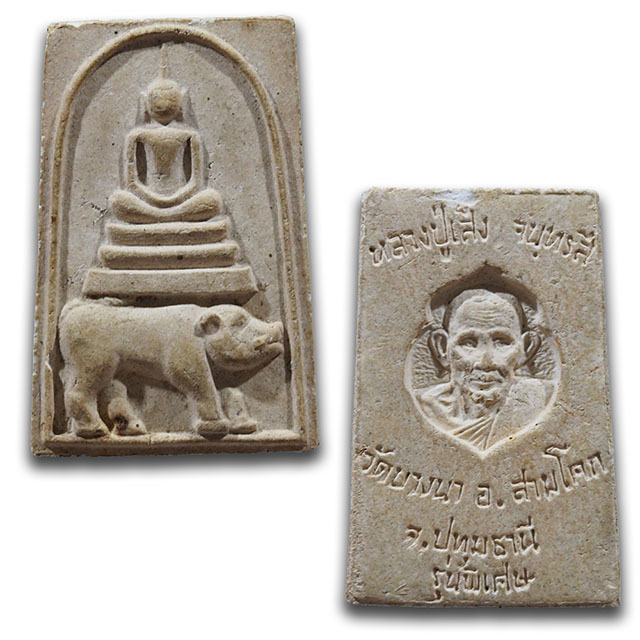 After the release of the Moo Tong Daeng Khiaw Dtan amulets, they attained great popularity due to effective results with the Devotees. The amulets were made in Nuea Loha (sacred iron alloy), and was made in small and large sizes. 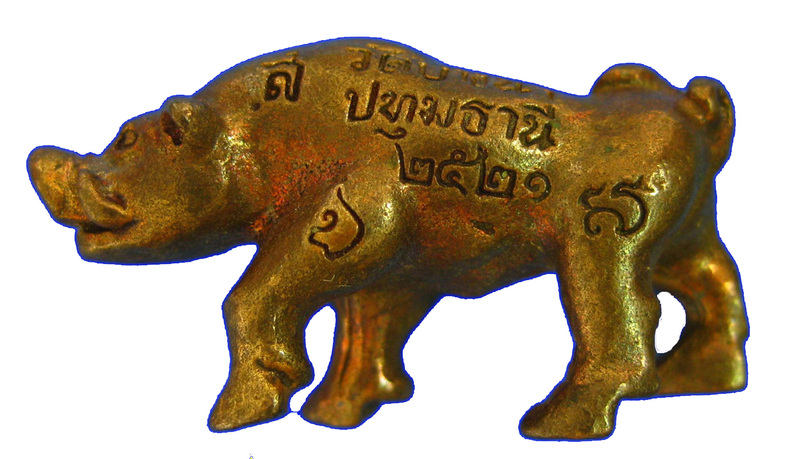 The left side of the body of the Boar has the words 'Wat Bang Na Patum Thani 2521' embossed, and the right side of the body of the boar has Khom Agkhara lettering embossed. 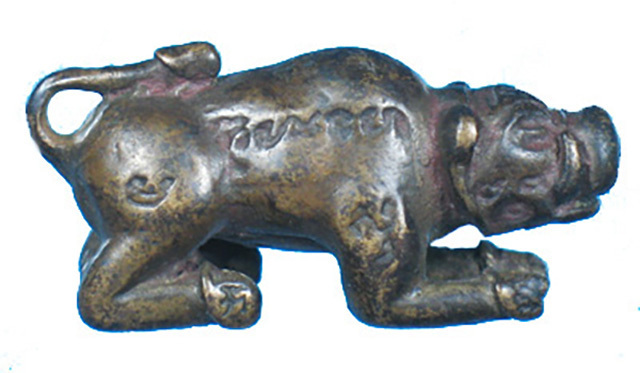 The legs of the Boar have the four elements inscribed in Khom Sanskrit 'Na Ma Pa Ta'. 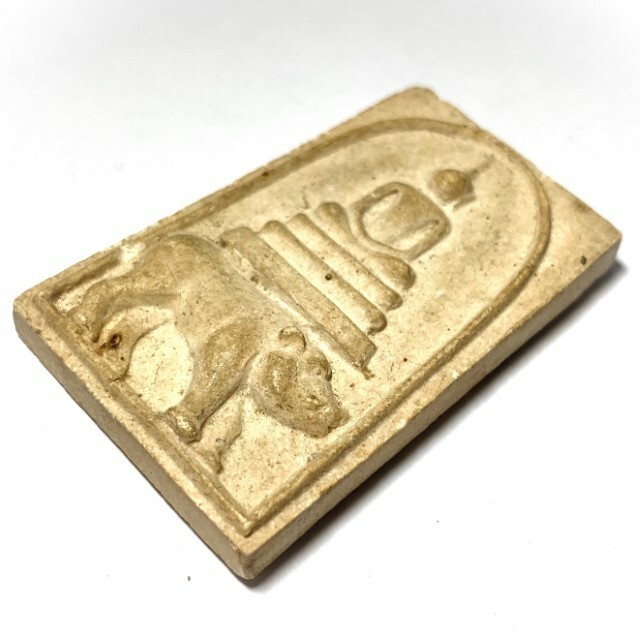 The first edition of Moo Tong Daeng was made in a number of 2500 amulets only, making them very rare to find in the present day. They are known for powerful Klaew Klaad and Kaa Khaay Power. 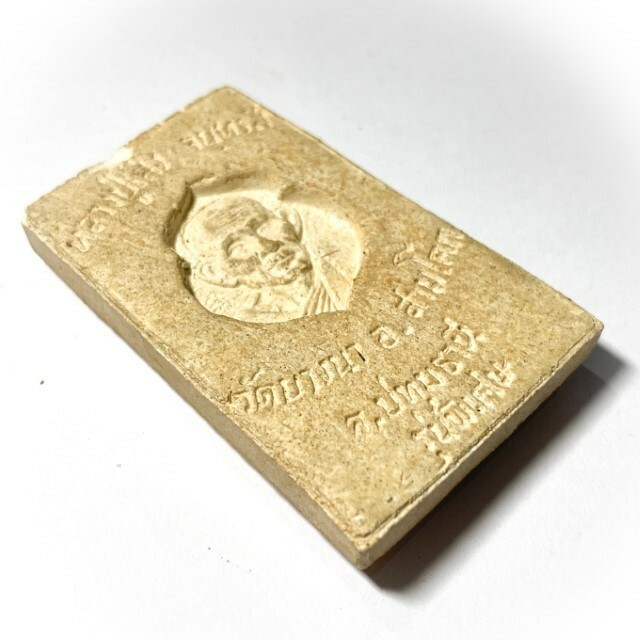 Lastly, one cannot speak of Luang Phu Seng without mentioning his famous Paya Krut Tong Daeng Garuda amulet. 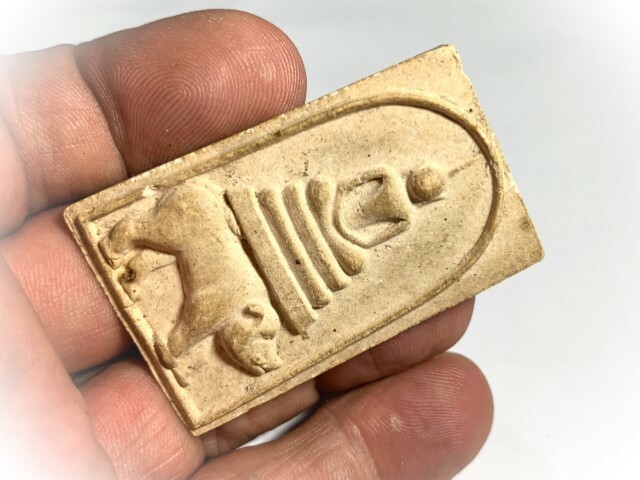 Perhaps the other most commonly seen amulet of Luang Phu Seng seen in High End Collector Club Magazines, is almost certainly the Paya Krut Garuda amulet. 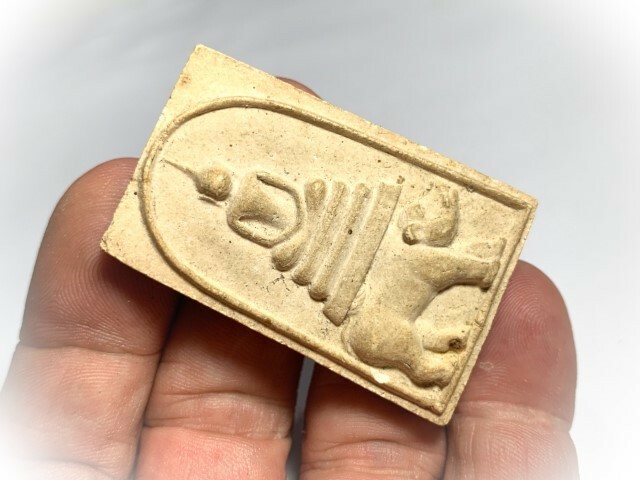 The Paya Krut Garuda amulet of Luang Phu Seng, was blessed in Buddha Abhiseka with a further 10 Master Monks who Luang Phu Seng invited to assist in the empowerment. The Garudas were made in Nuea Tong Daeng sacred Copper Alchemical Alloy. The amulets were first released in 2522 BE. 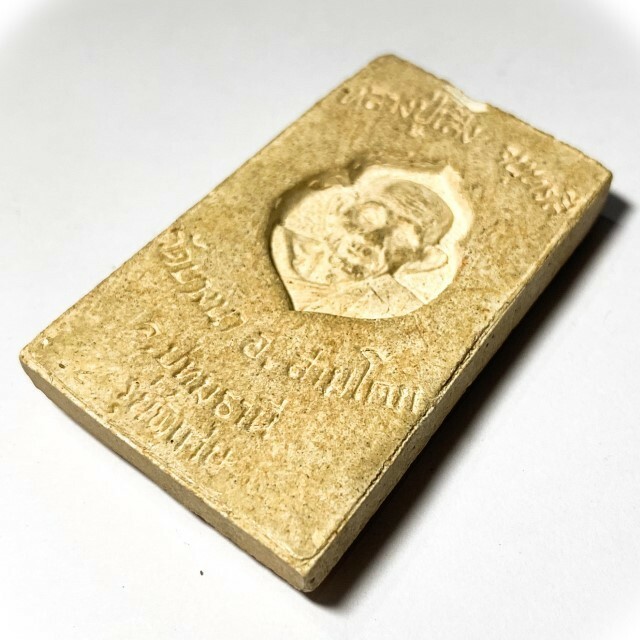 The rear face of Luang Phu Aeng's Paya Krut amulet has the words 'Luang Phu Seng Wat Bang Na Patum Thani 2522' engraved into the metal face, with Agkhara Khom Khmer Inscriptions interspersed. 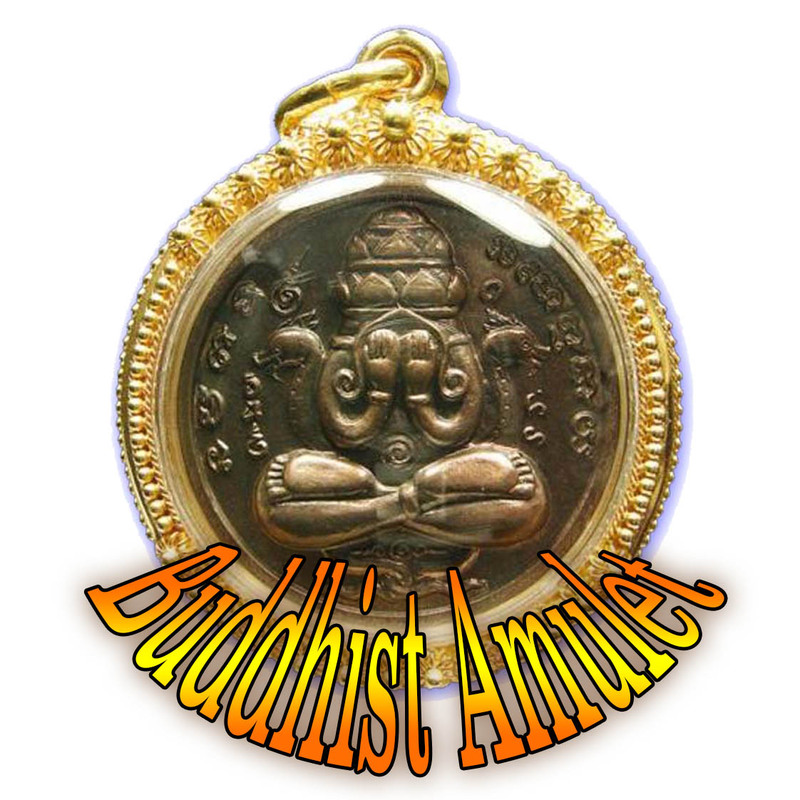 The amulet is now one of the most expensive and highly prized of all is pantheon of amulets. 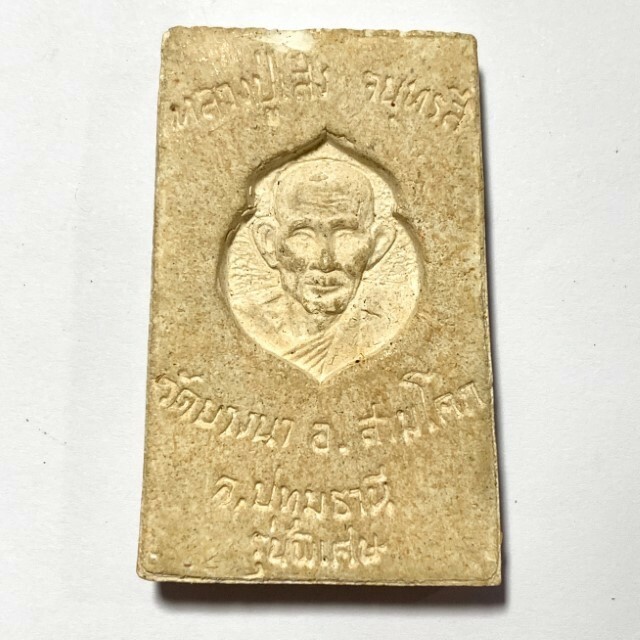 The Paya Krut Tong Daeng had various miraculous news stories which made it popular as a Klaew Klaad and Kong Grapan Chadtri protective amulet, which has saved lives both on roads and on the ocean. 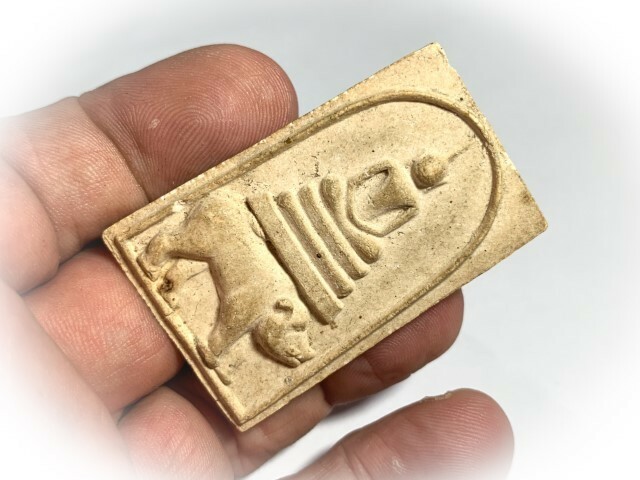 The amulet is often seen in High End Collcetor Championships competing, and often winning not only in the Luang Phu Seng category, but also the Paya Krut category, and Loi Ongk category. 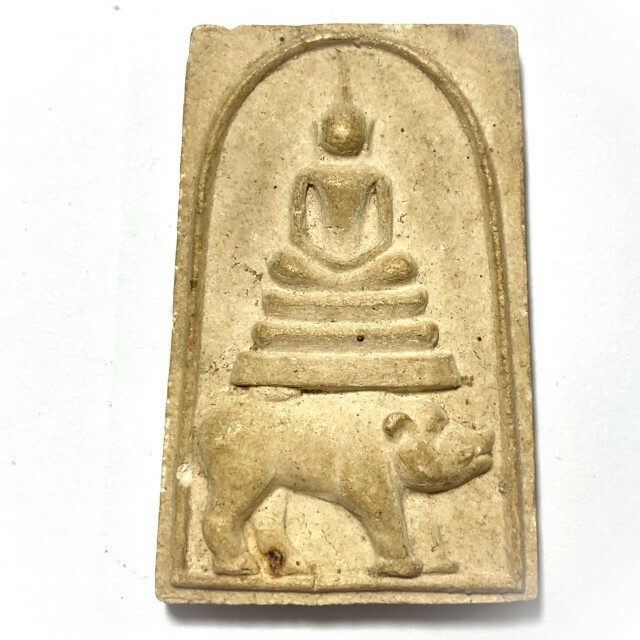 Apart from the above mentioned amulets, Luang Phu made a host of other forms of amulet including the Hanuman (In Galai Ngern and Galai Tong Daeng), then the Dtao Ruean turtle,, after which he created one set of silver and golden Hongsa Bird amulets, to remind people that Wat Bang Na, was built upon the sweat of the Raman People. The Mong Raman (Rmen) people, are a hilltribe whose territory stretches from the Kanjanaburi district up to the borders of the Karen (Gariang Kor Ma) Horseneck tribe territory. Teir main population is within the borders of Myanmar, with a total population of 8 million, 114,000 of which are inside the borders of Thailand. Their Ethnic Origins come from Southern India. 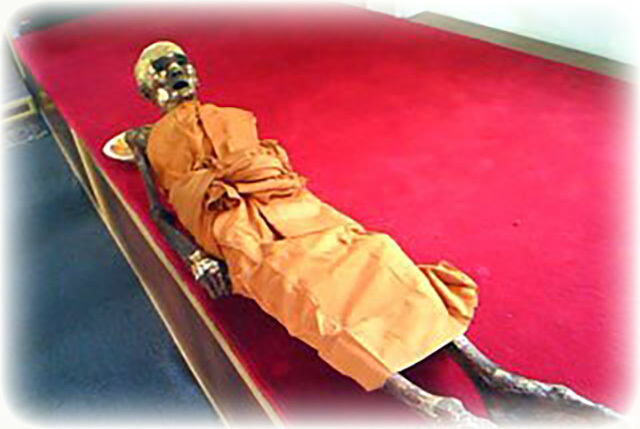 Luang Por Seng's corpse remains on show at the temple of Wat Bang Na in a glass coffin, and does not deteriorate further. Recommended Uses:Mercy Charm, Protection, Sucessful Business and Profession.